Following the collapse of talks last month between United States President Donald Trump and North Korean leader Kim Jong-un, Japan has more reason than ever to accelerate its return to militarization. 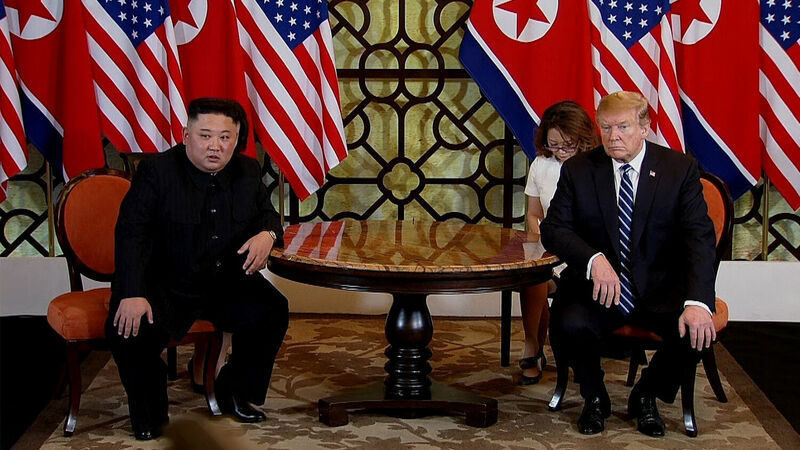 The talks in Hanoi, Vietnam, ended with Trump and Kim failing to reach a deal on denuclearizing North Korea. The North has since begun rebuilding a rocket testing site that it had previously begun to dismantle. Japan has more reason than ever to tap into its “enormous capacity” to increase its military power. Japan’s strategy since shortly after its defeat in World War ii has been to rely largely on the U.S. for guarantees of its national security. Shortly after that 1945 defeat, the U.S. included a clause in the Japanese Constitution banning war as a means for the country to settle international disputes. The clause added that “land, sea and air forces, as well as other war potential, will never be maintained” by Japan. The Treaty of Mutual Cooperation and Security signed in 1960 ensured that Japan would survive this enforced pacifism by guaranteeing that the U.S. would defend it. Most significantly, America’s nuclear umbrella has guaranteed that any country that strikes Japan with nuclear weapons will face retribution from U.S. forces. If the U.S.’s new position is that it cannot tolerate a North Korean nuclear arsenal that threatens America, then “[i]mplicit in that position is that it can tolerate one that threatens Japan,” he wrote. This lack of trust will likely prompt the Japanese to work more vigorously toward becoming a full-fledged, normalized military power again. In recent years, Japan has already taken some major steps toward military normalization, not only because of North Korea’s rising threat, but also due to increasing aggression from China and Russia. This new reality on the Korean Peninsula gives Japan cause to intensify those efforts. The emerging new reality could also soon see Japan add nuclear weapons to its arsenals. Given Japan’s history of wartime fanaticism, the idea of it being a formidable, possibly nuclear-armed, military power is chilling. But this lines up with Bible prophecy. Mr. Armstrong’s forecasts may have seemed implausible when he issued them, particularly when Japan was almost entirely stripped of military power. But today, with rising threats from North Korea and other nations in Japan’s periphery, and with America’s security guarantees in question, it is clear that Mr. Armstrong’s Bible-based analysis was correct.